In 1909, linguist Herachyah Adjarian surveyed many of the Armenian dialects in what is now present day Turkey, Armenia, Georgia, Iran, and other surrounding countries settled by Armenians. 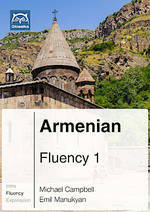 Unlike the traditional dialect division of Armenian into western and eastern dialects, Adjarian divided Armenian into three main dialects based on which indicative particles are used. He labeled them as the -owm dialects, gë dialects, and -el dialects. These three major dialects were further divided in sub-dialects.